Every once in a while as an anime fan I get nostalgic for old times. For shows that were big when I was first getting into anime, the shows that used to be giants. Today I’d like to reflect on the classic anime comedy Osomatsu-san, which burst onto the scene in 2015 with one fantastic season that still lingers in our hearts today. 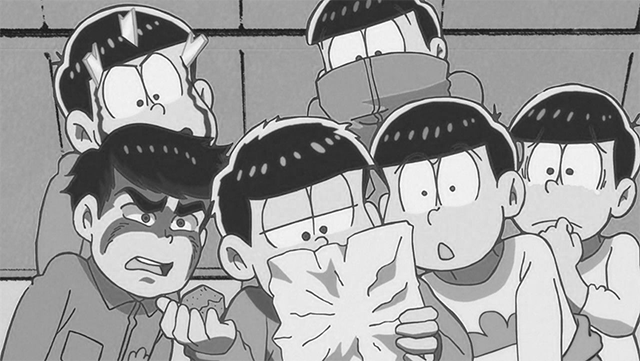 Remember how good that first episode of Osomatsu-san was? It took an old premise that no one thought could be updated and breathed new life into it with an episode filled with absurd parodies and references that instantly grabbed everyone’s attention. Not only that, but it kept the humor going with even more clever episodes creating whole new characters for the Matsuno brothers that were hilarious. Everyone seemed to be talking about it, arguing over who was their favorite Matsuno brother and constantly posting screenshots, it was everywhere. I often wonder why they never made a second season of Osomatsu-san. It was the highest selling anime in Japan that year and is still one of the top 10 highest selling anime ever, so you’d really think they’d have made a new season. Sometimes I wonder if they are planning one and I just have not heard about it. But that can’t be right, because if there were more Osomatsu-san I’d surely see somebody, anybody posting about it on social media. I guess Studio Perriot decided they wanted the legacy of the original to live on. I’m sure it took a lot of work to come up with so many great comedic bits for the first season, and they wouldn’t want to disappoint people with a second season if they only had inferior material. Maybe they’re secretly waiting, preparing for a comeback, but for now I guess Osomatsu-san will live on with the classic anime that we all wish would get another season like Kino’s Journey, Darker than Black and Berserk.